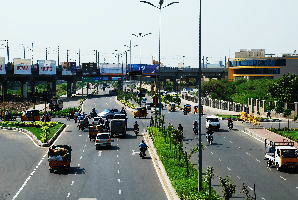 On Arrival Chennai Airport will meet and transfer to Hotel. After check in hotel, Proceed to visit Kapaleeswarar Temple, Vadapalani Murugan Temple, Fort St. George, San Thome Church, Guindy National Park, Marina Beach. Later return back to hotel. Overnight Stay at Chennai. 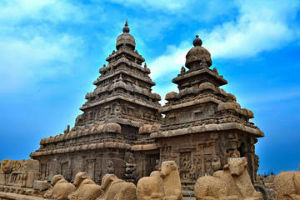 After Morning Breakfast check out and drive to Mahabalipuram. 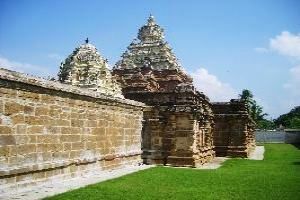 On the way to visit Kancheepuram – kanchi kamakshi amman temple, kanchi kailasanathar temple, ekambareswarar temple, shopping. After visit drive to check in hotel. Later proceed to visit Pancha Rathas, Shore Temple, Varaha Cave Temple, Tiger Cave, Thirukadalmallai. wn activities. Evening back to hotel. Overnight Stay at Mahabalipuram. Post breakfast drive to Pondicherry. After check in hotel, proceed to visit arulmigu manakula vinayagar temple, church of the sacred heart of jesus, bharati government park, french war memorial, sri adharaja perumal temple, auroville beach. Later return back to hotel. Overnight stay at Pondicherry. Following the breakfast check out and drive to Tanjore. After check into the hotel, proceed to visit brihadeeswara temple, gangaikonda cholapuram, garbarakshambigai temple, guru bhagavan temple. Later return back to hotel. On day 5, begin driving to Trichy. After check in hotel, Proceed to visit Ranganathaswamy Temple, Ucchi Pillayar Temple, Srirangam, Kallanai Dam. Later do some shopping and own activities. Later return back to hotel. 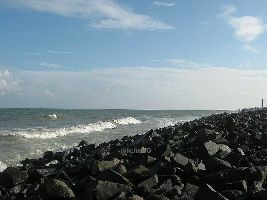 After Morning Breakfast check out and drive to Rameshwaram. On the way to visit Pillayarpatti – Karpaga Vinayagar Temple. After visit drive to check in hotel. Day of leisure free for rest and own activities. Overnight Stay at Rameshwaram. Have Morning Breakfast proceed to visit Ramanathaswamy temple, agni tirtham, pamban bridge, shopping and own activities, etc. Later return back to hotel. Overnight Stay at Rameshwaram. 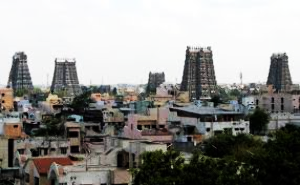 The 8th day of the tour is for exploring Madurai. After check in hotel, Proceed to visit Meenakshi Amman Temple, Thirumalai Nayakkar Mahal, Gandhi Memorial Museum, Koodal Azhagar Temple, Thirupparamkumram Murugan Temple, Vandiyur Mariamman Teppakulam. Later return back to hotel. Overnight Stay at Madurai. On day 9, after breakfast, begin driving to Kodaikanal. After check in hotel, proceed to visit Kodaikanal Lake, Pine Forest, Kurinji Anda Temple, Pillar Rocks, Lake View Point, Guna Cave, Silent Valley View Point, Vattakanal Falls, Chocolate Factory, Bear Shola Falls. Later return back to hotel. Overnight stay at Kodaikanal. 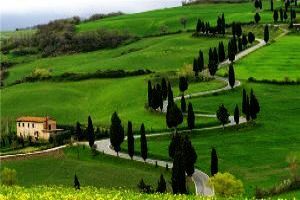 On day 10, begin driving to Ooty, known as ‘Queen of Hill Stations. Later, visit the fresh tea gardens where you can enjoy a leisure walk. Proceed to your hotel for check-in. After some rest, continue with sightseeing covering Botanical Gardens, Ooty Lake and Doddabetta- the highest peak in the Nilgiri hills. Overnight Stay at Ooty. 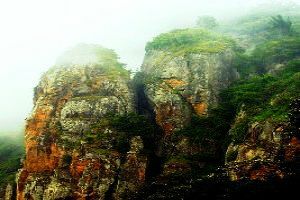 After Morning Breakfast on the 11th day, leave for an excursion to Coonoor to visit its tea gardens, Sim's Park- a 100-yr old garden housing a iety of trees, shrubs as well as creepers and Dolphin's Nose- a viewpoint situated over 1000 feet above sea level. Return to Ooty to visit popular film shooting locations. Later return back to hotel. Overnight Stay at Ooty. On day 12, after breakfast, begin driving to Mysore. En- route, visit Srirangapatna- the capital of Hyder Ali and his son Tipu Sultan. Visit Tipu's Palace that is now in ruins, Gumbaz- the burial chamber of Tipu Sultan, his father Haider Ali and mother Fatima Begum and lastly, Tipu Sultan’s Summer Palace, known asDariya Daulat Palace- built in the Indo-Sarcenic style. On arrival in Mysore, complete the check-in formalities at your hotel. The evening is booked for visitingBrindavan Gardens- a beautiful garden with colorful musical fountains and Krishnaraja Sagar dam in the evening. Later return back to hotel. Post breakfast; explore the Maharaja Palace, also known as Mysore Palace or the Amba Vilas Palace - official residence of Wodeyars, the royal family of Mysore. Afterwards, visit the Nandi or Bull temple at the Chamundi Hills- a temple dedicated to Nandi Bull, the vehicle of Lord Shiva. The next visit is to St. Philomena's Church – one of the oldest churches in India. Back to Mysore for visiting the Mysore Zoo. Later return back to hotel. Overnight Stay at Mysore. Post breakfast check out and drive to Bangalore. 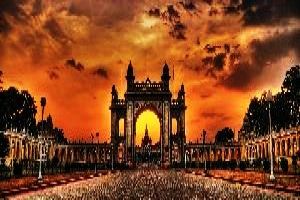 After check in hotel, proceed to visit lal bagh, cubbon park, bannerghatta national park, vidhana soudha, iskcon temple, tippu sultan summer palace, gavi gangadhareshwara temple, bangalore fort. Later return back to hotel. Overnight Stay at Bangalore. After having Breakfast check out from the Hotel and get ready to say adios to Silicon Valley of India. 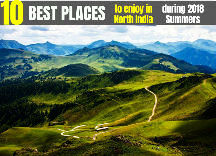 You will depart to Bangalore Airport for onward journey, along with unforgettable memoirs of “Lee Vacations”. 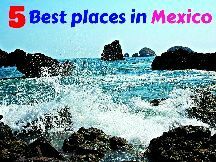 Latest trip ideas: » IRCTC tourism offering six days Tour to Gangtok, definitely not worth missing » Unusual things you can only do in Bali » Your guide to nightlife in Pattaya » Best places to have breakfast in Russia » Weekend Getaways from Ahmedabad » Dogs of Instagram that are travelling the world » 6 Best budget hotels in Nepal » Amazing pet spas in Delhi » Weekend Getaways from Varanasi » Best Places for shopping in Nepal » Weekend Getaways from Patna » The top 4 cities in America that you must explore » Why you should travel solo in your 20s » Trip to Bhopal, Panchmari, Kanha, Jabalpur » Weekend Getaways from Lucknow » Italy’s first coral reef has been discovered » A Guide To Nepal Tourism » Best cafes in Myanmar » 5 Luxury hotels in Ukraine » Weekend Getaways from Chandigarh » The best tropical honeymoon destinations around the world » Weekend Getaways from Vishakapatnam » Street food that makes your trip to Haridwar complete » The most amazing new airports opening in 2019 » Weekend Getaways From Mumbai » Weekend Getaways from Agra » Why do you need to visit Italy’s Coral Reef? » 8 Best Bars & Clubs in Bali » 6 Best Restaurants In Bali » Top dog resorts in India, for your baby pooch!